While I’m not a huge fan of traditional fruit pies (I favor crisps far more), I actually love a good freezer or ice box pie. The creamy mousse and decadent flavors get me every time. 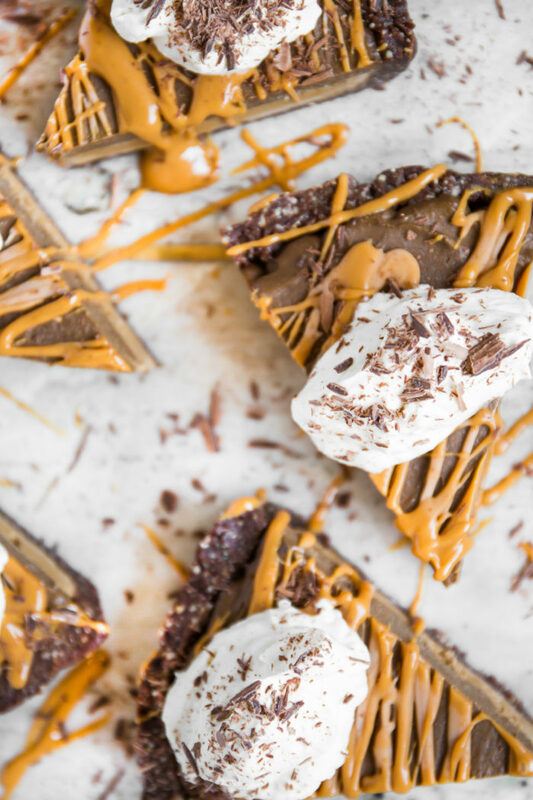 My super healthy Snickers pie has become a summer staple, but I created that years ago, and it was high time I came up with something new and fresh. Enter: The Mississippi Mud Pie. 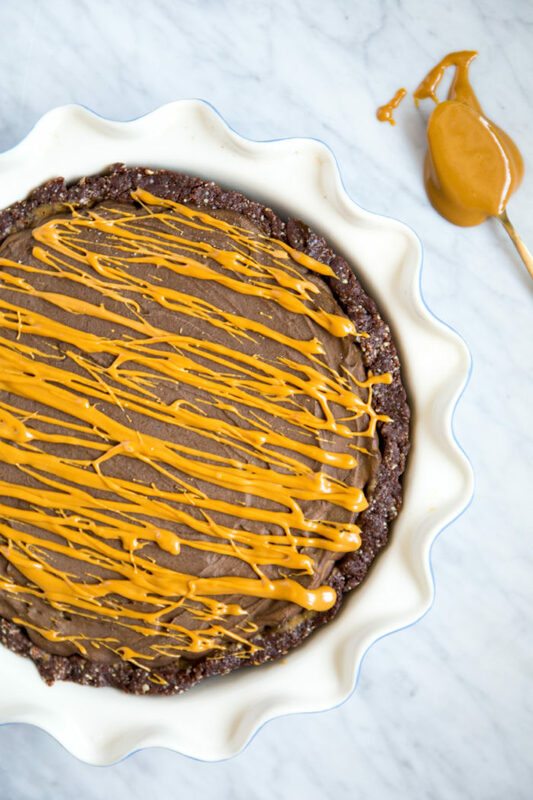 While there are several iterations of this classic summer pie, my favorite has a chocolate crust, a coffee layer, a chocolate mousse later, and some peanut butter thrown in for good measure. I’m not actually a coffee drinker—I find the taste to be quite bitter, and it stokes my anxiety. I love the smell though, and with enough sweetness and creaminess (as in—this dessert) it becomes the perfect grounding counterpoint to the other sweet ingredients. 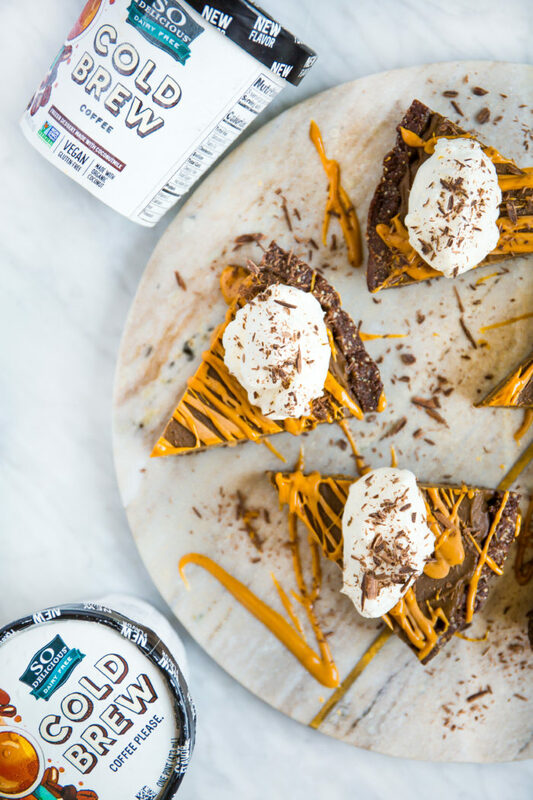 Because this pie is made with super healthy, real food ingredients, you can eat as much of it as you want. Because you store it in the freezer, you can also eat as little as you want, since you don’t have to worry about it keeping (Zack’s been making his way through a slice a day for breakfast for the better part of the last week). 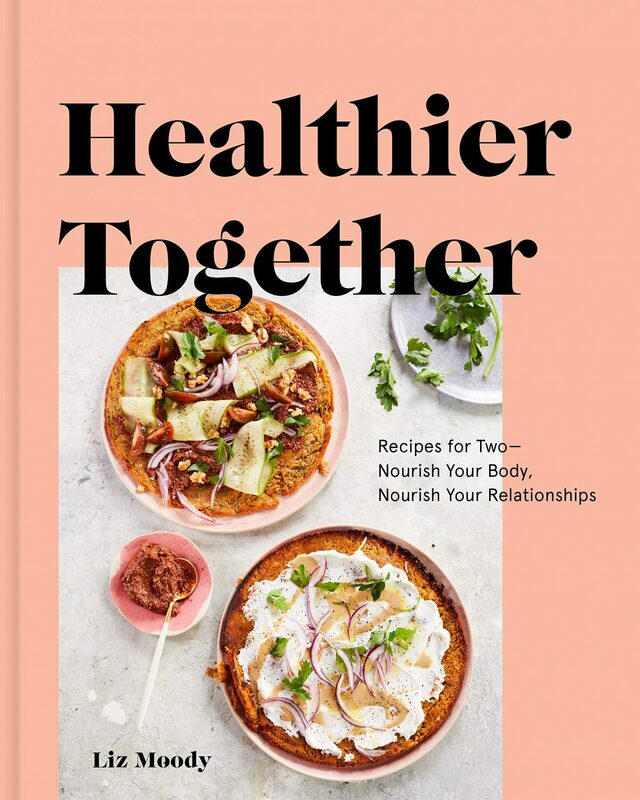 The chocolatey crust is made out of a hormone-balancing, blood-sugar stabilizing mixture of cashews and coconut, with a few fibrous dates adding sweetness (this is also a great basic energy ball recipe, if you’re so inclined). The mousse layer is made from avocados, adding a hefty dose of heart-healthy fats that become oh-so-creamy when whipped and frozen (it’s better than any unhealthy mousse I’ve had, honestly). For the coffee flavor, I used the new So Delicious frozen dessert flavor. Part of the five new flavors that the dairy-free brand launched for summer (I’m also obsessed with the Blueberry Cardamom and Bananas Foster), it’s more gourmet in both taste and creamy-texture than any other dairy-free frozen dessert I’ve tried. It’s coconut milk based and has a super simple ingredient list, with no weird fillers or additives. Here, it adds a beautifully balanced bittersweet coffee note. 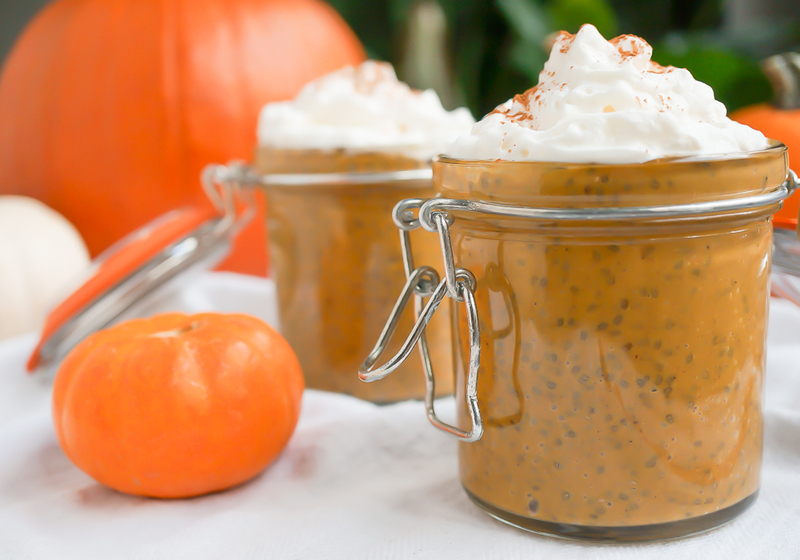 Drizzled with a bit of peanut butter, and topped with whipped cream of choice (So Delicious has a great whipped topping as well), it’s the perfect show-stopping summer dessert—except it’s actually super easy to make, taking just about 10 minutes of active time and only one dirty container. Here’s how to do it. 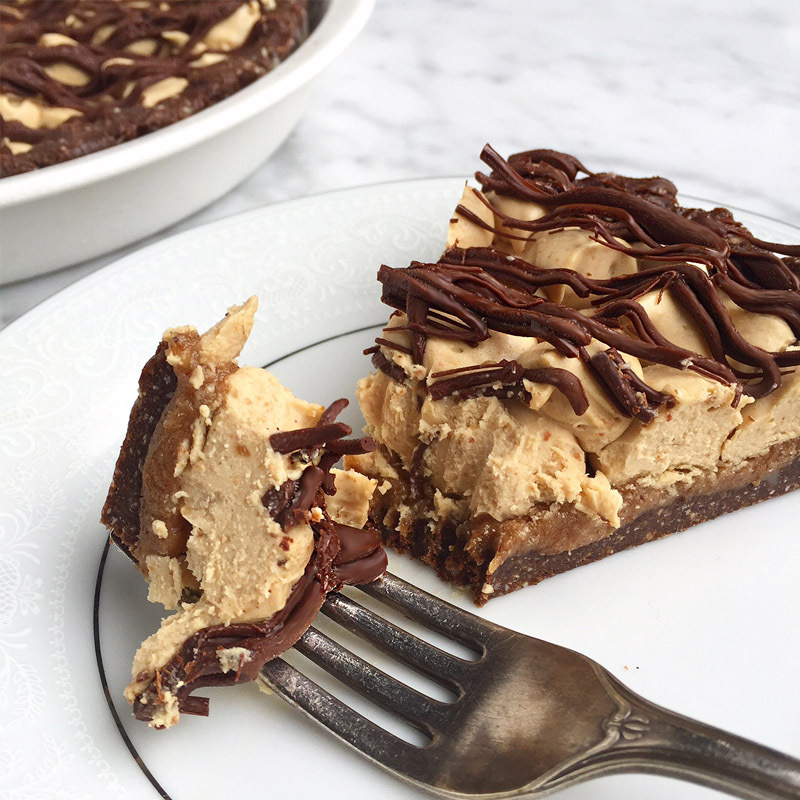 This no-bake healthy Mississippi Mud Pie is gluten free, vegan, paleo friendly, and filled with chocolate, peanut butter, and sweet mocha flavor. Perfect for summer! Put So Delicious pint on counter while you make the crust, so it warms to pliable texture without melting. 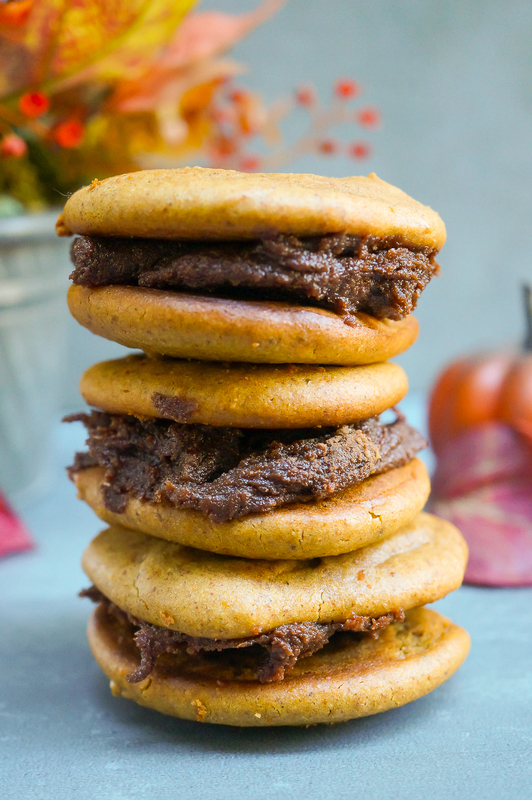 In a food processor fitted with the metal blade, process all crust ingredients, scraping down the sides, until it easily sticks together, about 1 – 2 minutes. Line a 10” pie pan with parchment paper, then press crust into the pan in an even layer about ¼” thick, pressing it up on the edges so it forms a pie crust shape. Spoon the pint of the frozen dessert into the pie crust and use a spoon to spread it in an even layer, working quickly so it doesn’t melt. Place pie in the freezer until it re-hardens, about 30 minutes. Wipe out the food processor and add all of the avocado mousse ingredients. Process until creamy and whipped. Remove pie from the freezer and top the frozen dessert layer with a layer of the mousse, working quickly. Return to freezer to set completely, about 4 – 5 hours. When ready to serve, mix the peanut butter with the warm water until it’s a thick, runny texture, adding more warm water a teaspoon at a time if necessary. 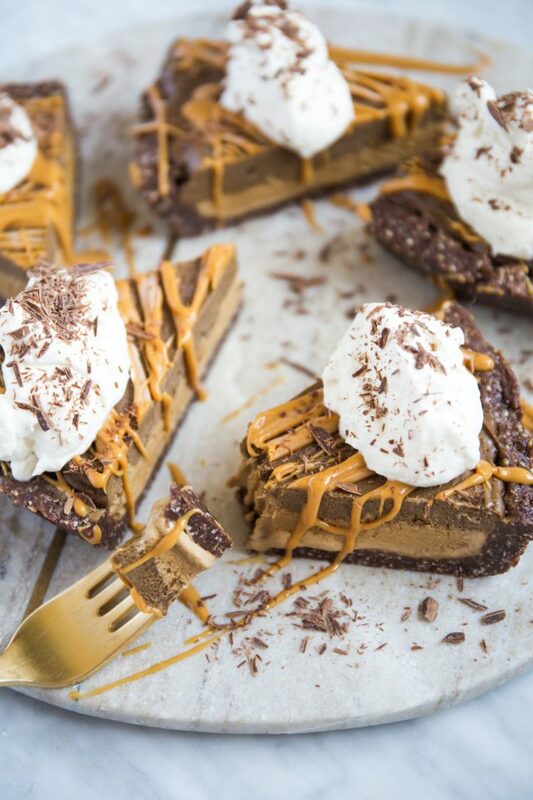 Slice the pie and drizzle generously with peanut butter, then top with whipped cream and chocolate shavings, if using. This post is sponsored by So Delicious and all opinions are my own. Thank you so much for supporting the brands that allow me to deliver free high-quality content to you!